LRS messaging systems keep customers informed, staff aware, and operations running smoothly. 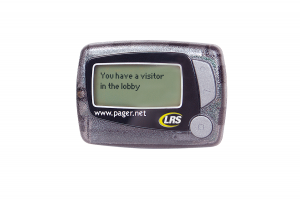 Popular LRS pager solutions include guest paging, staff paging, and our Enterprise solution NetPage Unlimited. 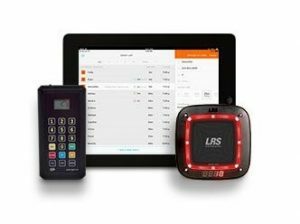 Here are some of the most popular paging systems used by LRS clients. However, there are many other options to choose from. So might we suggest having an LRS Expert help evaluate your business needs to recommend the right paging system. Give your customers a choice for how they’re notified. 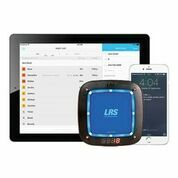 LRS provides the only all-in-one guest messaging system that delivers text messages to a mobile phone or to an LRS pager from a single guest management interface. No matter your business site, an LRS guest paging kit comes complete with a stack of rechargeable pagers (10, 20, 30 or more), a charging base, and transmitter to send notifications or written messages. 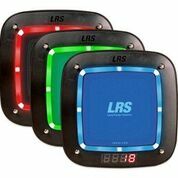 Keep your operations running smoothly with an LRS staff paging kit. Each kit comes with a set of rechargeable staff pagers (10, 20, 30, or more), a charging station, and a transmitter to send either an alert or a specific message to the right staff member. Seat guests quickly with the LRS table management system. The Table Management Kit offers a handheld Table Updater remote that coordinates with the guest management application, On Cue for Restaurants. Remotely manage table status so your staff can attend to guests more efficiently. 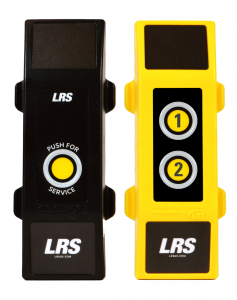 When notifications need to be sent by a simple press of a button, LRS push-button pagers offer that choice. Whether you need a way for customers to request help from a server or staff member, or a staff person to notify other staffers for help, LRS push-button paging systems include single and multi button options. 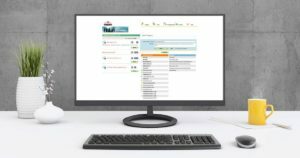 NetPage Unlimited is an easy to use PC software that will allow your company to communicate via LRS Pager, SMS to cell phones or as an email to anyone in your organization. NetPage Unlimited can also handle digital waitlist management for as many departments you may have. Please double check your information before pressing submit, Thank you.